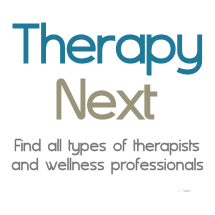 Therapeutic approach: The method and approaches would depend on the client and their needs, but I usually draw most from Dialectical Behavioral Therapy (DBT), Cognitive Behavioral Therapy (CBT), Trauma-Informed, Strengths-Based, Motivational Interviewing, Existential therapy, Solution Focused, Person-Centered, and spirituality, and mindfulness. I believe that the mind, body, and spirit are connected and it is important to nourish all three. I believe in helping and guiding people to emotional stability and empowerment, self determination,, teaching coping skills for stress and negative thoughts and emotions, start the healing process from trauma and abuse, and their ability to take control of their lives. Connecting with clients, gaining trust, developing a genuine therapeutic relationship with clients, providing empathy are the foundations of my counseling. I believe in the therapy process and hope clients will find the strength and potential they already had all along.